Superdry women’s Boyd joggers from the Dark Romance collection. These limited edition joggers are just what you need to take your wardrobe to the next level this season. 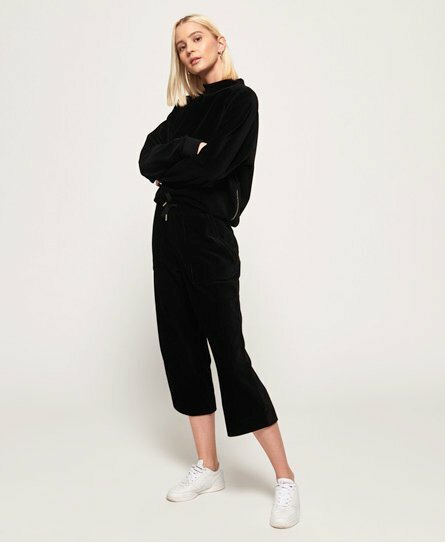 With a drawstring waistband and two front pockets, their cropped fit adds an extra flair of style. A small logo tab under the rear of the waistband provides that finishing touch, while their soft touch fabric gives an added element of luxury. Comfort really has never looked so good.